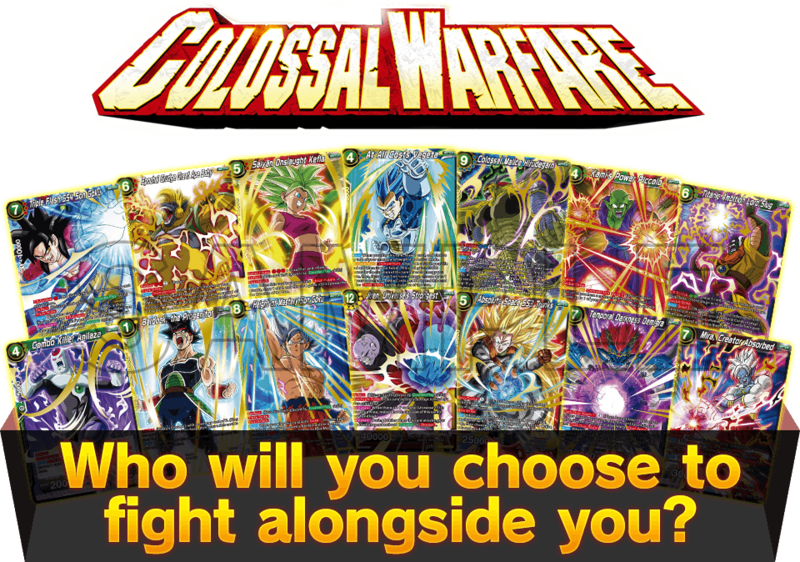 COLOSSAL WARFARE SR Cards Showdown! 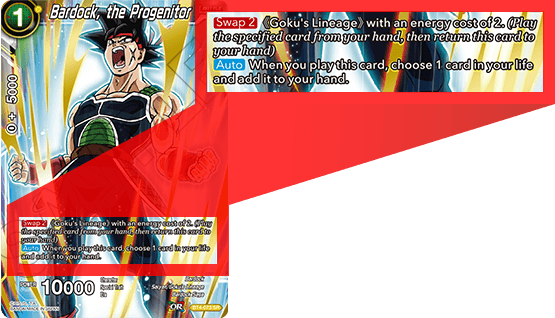 A powerful addition to the Son Goku :GT deck from series 3! The card has deflect, so it is perfect for delivering the finishing blow! 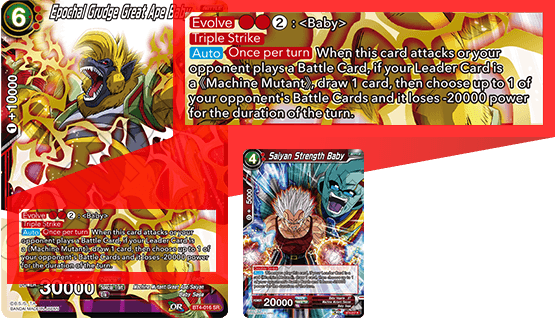 Evolve Vegeta Baby into Great Ape Baby at an early point in the game to control your opponent with red power-decreasing effects! 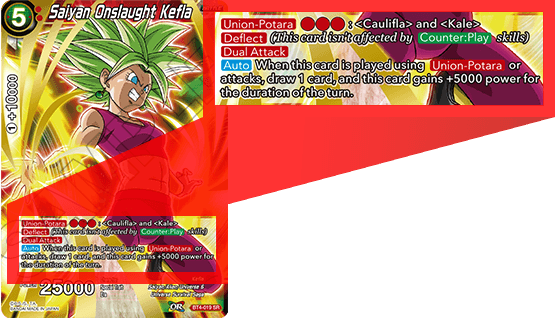 Kefla finally comes to DBSCG, adding a whole new level of power to Caulifla and Kefla decks! Attacking with her gives you an extra card! 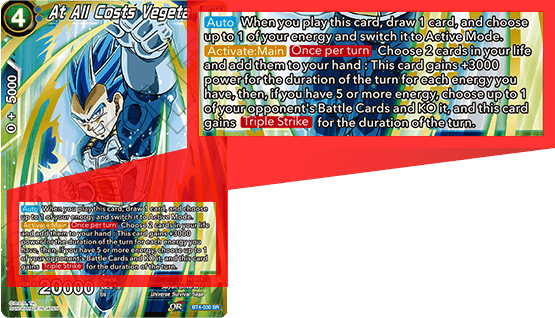 This card re-imagines Vegeta’s final all-in attack! 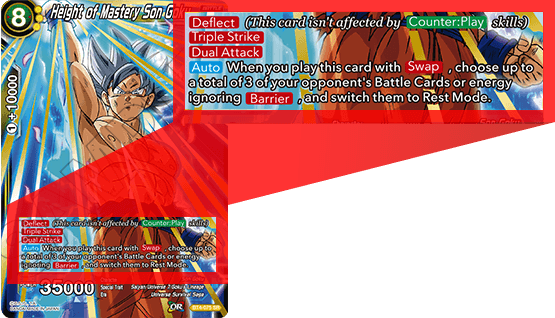 A great card for both blue and Universe 7 decks! Getting this beast into the Battle Area is your No.1 priority! 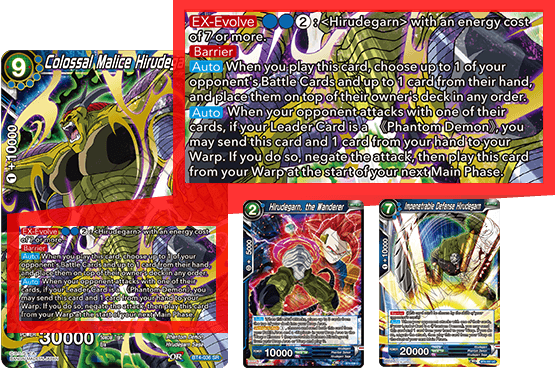 Once in play, nothing can stop the mighty Hirudegarn! 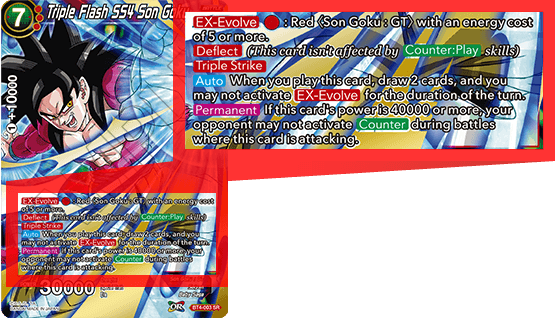 His Bond 2 skill allows you to KO opponent cards every turn! He also has Barrier, so think carefully when you want to attack with him! 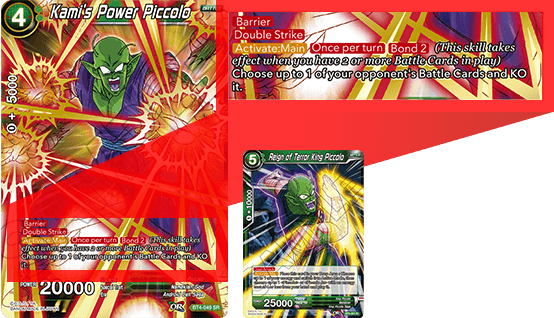 He also works very well with King Piccolo! 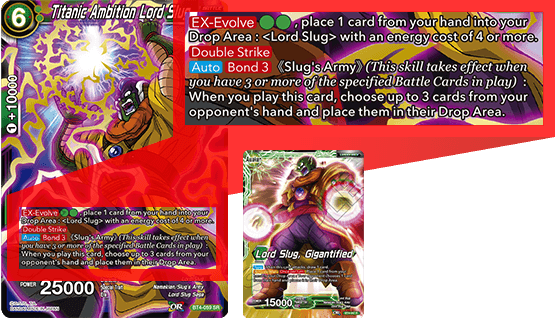 Build an all-new hand-destruction deck with Slug and his minions! Unleash a powerful Combo with the Leader Card! Anilaza really works well with themed booster cards! He could even be the pillar of a new strategy! The first ever cost 1 SR! The Swap chain starts with him! 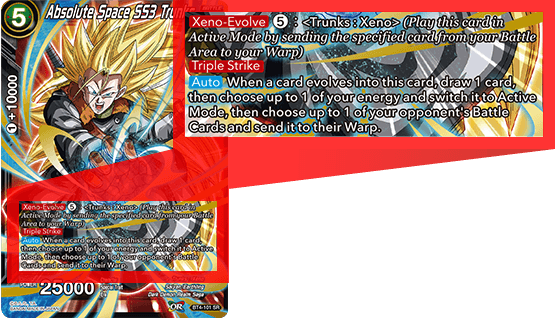 A must-have for Goku Lineage decks! The fact that it can ignore Barrier makes it all the more powerful! Jiren gives it his all in this super powerful representation! 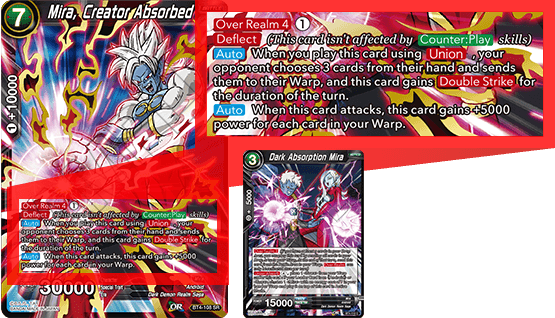 Combine him with the Universe 11 deck from the Theme Booster! Evolve: Xeno means that you can play this card to further pressure your opponent after attacking with the card it evolves from! 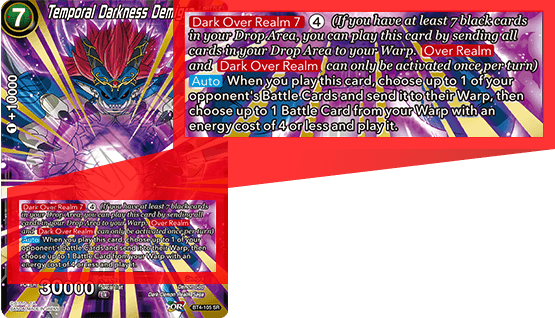 The ultimate end-bringer of the Demigra deck of course has Dark Over Realm! 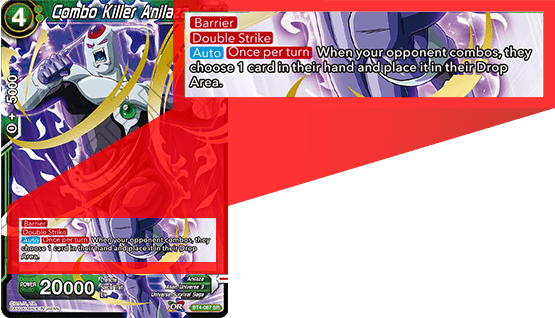 Not only does it get rid of your opponent’s cards, it also plays Battle Cards! Try to play him with Union! 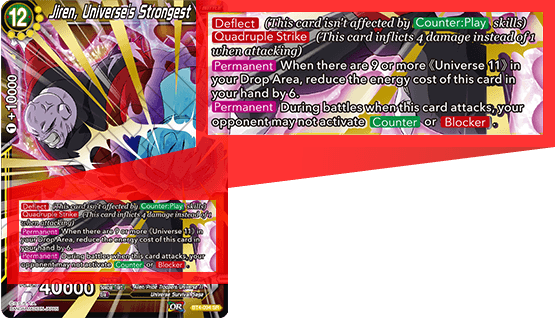 The fact that he can be included in an Android deck makes him very flexible!